All About the Bants, see’s star of I’m a Celebrity Get Me Out of Here, Tinchy Stryder go behind the scenes in a mash up of Punk’d and Impractical Jokers and pull the strings in a series of constructed scenarios that puts a fresh spin on the hidden camera format. Tinchy and his team of comedians shortlist targets after looking at Youtube vids, Snapchats, Tweets and Instagram pics submitted by mates and then go about setting up mind boggling scenarios in hilarious, once in a life time set pieces. 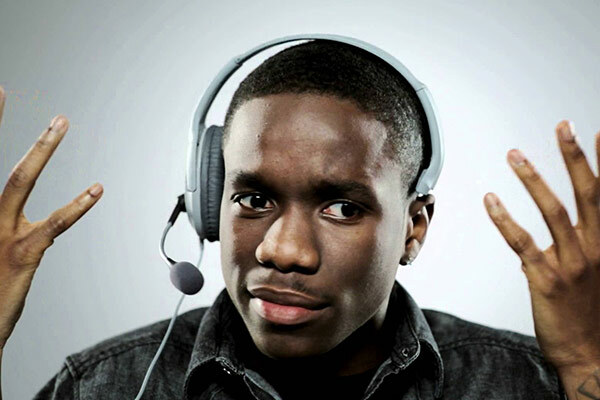 After concocting the perfect plans, Tinchy will push the button and set the scene in motion giving viewers a front row seat into the full and extensive repertoire of his pranking talents. Tinchy will then monitor the situations he has masterminded via a live feed in a fully decked out gallery known as the ‘BantsCave’ as the cringeworthy, awkward and hilarious scenarios unfold. His team of internet superstars include Arron Crascal and Pyscho Omar with comedien extrodanaire Miss London making up the all star cast.